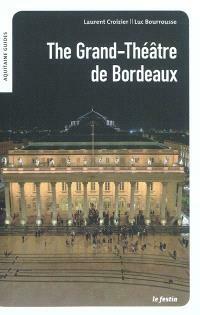 Présentation en anglais The Grand-Théâtre has always played a decisive role at the heart of Bordeaux life. As the consummate masterpiece of architect Victor Louis, the building quickly gained recognition as a major aesthetic blueprint, its radiant splendour shaping the fabric of the surrounding urban context. Louis envisioned the auditorium as part of a wider « cultural complex », including concert and rehearsal halls, a library, cafés and ample room for the wide variety of professions involved in staging each performance. The epictale of the theatre's past invites us on a journey through two and a half centuries of history, art, entertainment and enchantment, from the original building site to subsequent phases of restoration, through the labyrinth of its corridors, antechambers and alcoves with their well-guarded secrets, and from the shadows of the wings to the limelight of the stage as each production is nurtured from conception to performance. Yet it also eloquently demonstrates how this prodigious 18th century building, now home to the Opéra National de Bordeaux, attunes itself to modem times, as we tread the boards with a community of artists and craftspeople whose work still continues to enchant both fervent operagoers and occasional visitors today.